Five more videos on subjects including elastomers, nanomaterials, and thermosets. A study published in Materials Today shows that printing drugs onto microneedles may play a role in the treatment of infections. Scientists are seeking ways to synchronize the magnetic spins in nanoscale devices to build tiny yet more powerful antennas and other electronics. Development of a new low-cost, large-area method for production of "fuzzy" carbon fibre composites with superior electrical properties. Research from Harvard on the rare shape of the hemihelix, and how it can be characterized from different sized rubber bands. 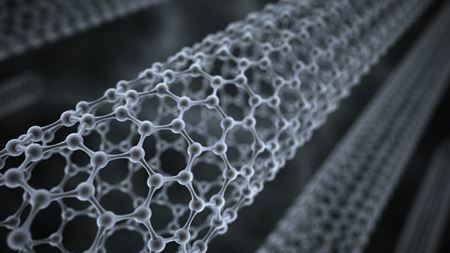 The best of Materials Science news during April 2014.